Also on the mound, Jerad Eickhoff underwent carpal tunnel syndrome surgery back in October. The right-hander had experienced some recurring symptoms in January which slowed his entry to spring games. Eickhoff has now made two starts and is on track to open the season as part of the Triple-A Lehigh Valley starting rotation. As long as he remains healthy, he would likely be the first pitcher to be re-called should a need arise in the Phillies rotation. 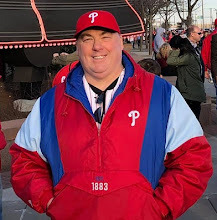 Originally published at Phillies Nation as "Rhys Hoskins out with sore shoulder; Updates on spring injured Phillies players"